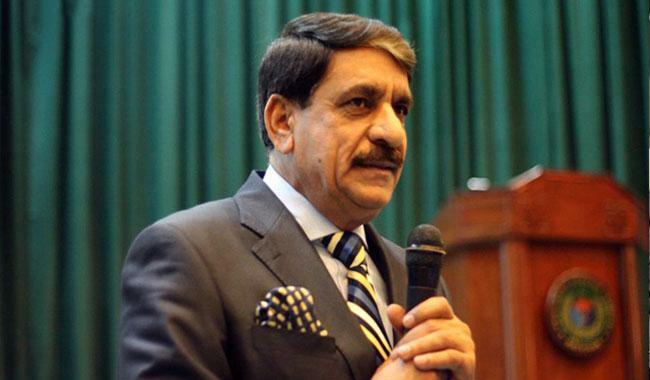 ISLAMABAD: The National Security Advisor (NSA) of Pakistan, Lt Gen (r) Nasser Khan Janjua while reminding the critics of the efforts made by the country’s armed forces in the fight against terrorism, during his keynote speech at the 2nd Tehran Security Conference, emphasised the 60,000 Pakistani lives lost and $120 billion worth of losses suffered by the country’s economy since 9/11. The NSA was presenting Pakistan’s perspective on the regional security challenges – a subject over which the country has recently come under severe criticism by the Trump administration. While highlighting the significance of collaboration among regional and international players to seek an early closure of the Afghan conflict, the NSA urged the regional powers to address regional issues with collaboration instead of competition. Janjua also said that the international community should tackle Afghanistan’s booming narcotics industry that “feeds the monster of terrorism”. Earlier, Janjua on Monday evening in Tehran had stated that Iran has appreciated Pakistan’s efforts for regional peace and the elimination of terrorism from its soil. With more than 200 Iranian as well as foreign political figures and analysts from 49 European and Asian countries participating, the 2nd Tehran Security Conference was inaugurated on Monday morning. The countries participating in the event include Pakistan, Iraq, Afghanistan, UK, Denmark Turkey, Lebanon, Oman, Italy, Tajikistan, Austria, Syria and Sweden. The goal of the three-day conference is to establish a forum for confidence-building and strengthening cooperation among West Asian countries to achieve security and joint development.